Have you ever wanted to bring all your favourite people together for an unforgettable festival or event that promotes positive values, uplifts and inspires? Or would you like to invigorate your team with a game-changing experience that will strengthen relationships, enlighten thought patterns, and shift outlooks? Advaya Initiative are dedicated to empowering individuals in their journey to happier, healthier and more fulfilled lives, in sync and in touch with the world around us. 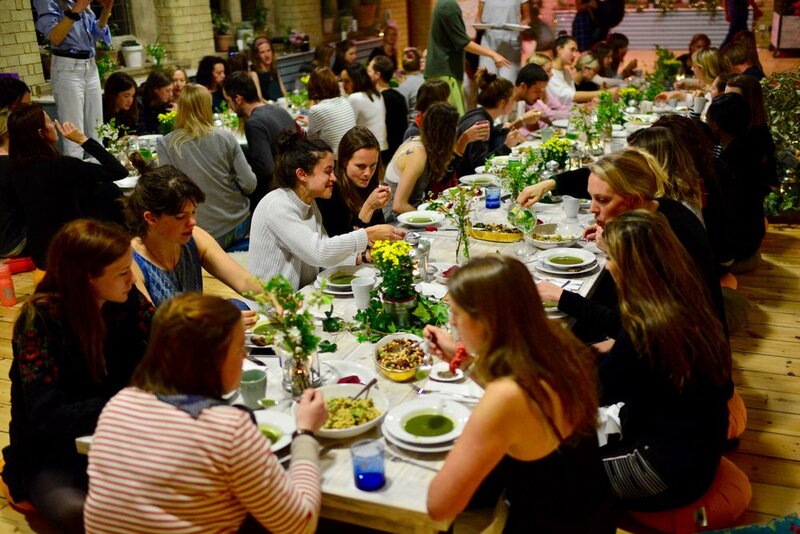 We do this through our varied events, from retreats and weekends in the wild, to workshops, supper-clubs, brunches and festivals complete with groundbreaking speakers, thinkers and writers, and the world’s best healers, teachers and spiritual practitioners. We would love to curate an Advaya experience for you. With increasing depression, stress and mental illness in the workplace, corporate wellbeing is taking centre stage in the HR agenda. We would love to help with bespoke solutions for your business, from weekly yoga or meditation sessions to Wellbeing Days, Talks and Retreats, or a complete Wellbeing Programme, tailor-made according to your business objectives. Drawing from our wonderful network of venues and collaborators in the realms of sustainability, wellbeing and mind-body health, we will curate an unforgettable experience for your teams, shifting outlooks, renewing energy and enlivening performance. Would you like a hen-party with a difference? Or your own festival for your fiftieth? No dream is too big or budget too small. From a weekend retreat to a natural beauty workshop or vegan feast to remember, we will help you to curate an affordable and unforgettable experience for you and your guests. We can host healing areas, wellbeing tents, or mind-and-body workshops from yoga and meditation to life-drawing, cacao ceremonies and sound healing. We always strive to create a safe and nurturing environment, a haven from the crowds and the ultimate place to hang out.